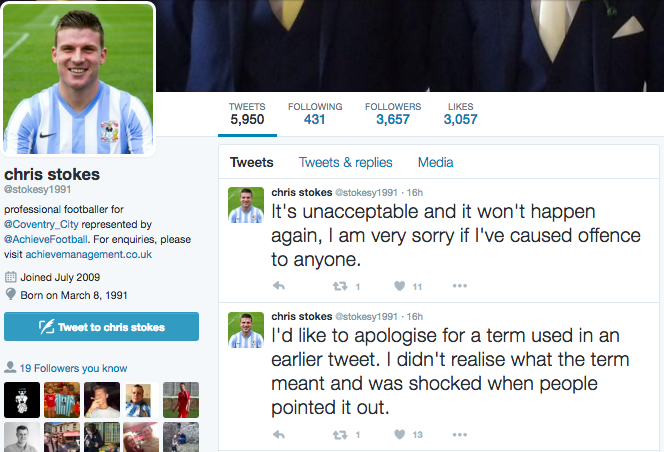 Coventry City defender Chris Stokes has today accepted a charge of misconduct from The FA. The charge is in relation to a tweet sent out by the 25 year old during the Premier League match between Tottenham Hotspur & Chelsea on Monday, May 2nd 2016. 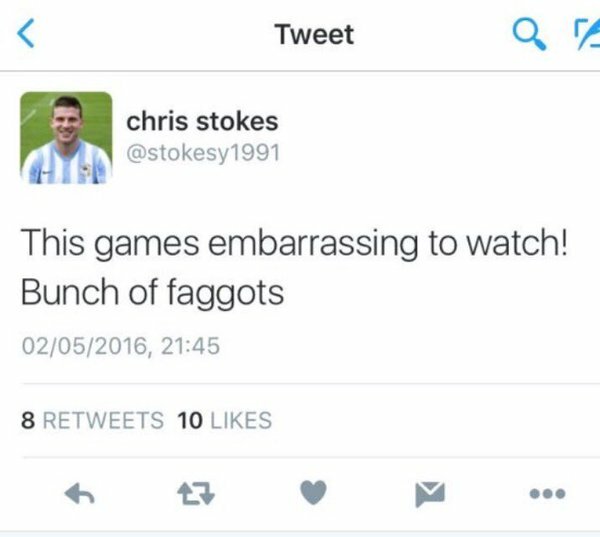 After quickly deleting the tweet and publicly apologising on both his personal Twitter account, which has since been deleted, and on the Club’s official website, Stokes has been the subject of an internal investigation by the Club. Stokes has requested a personal hearing where he will be represented by the PFA with a date to be decided. The club’s own internal investigation is ongoing pending the outcome of the hearing, but they have exercised the one-year option in the defender’s contract for 2016/2017. The club has been in constant contact with the organisation Kick it Out to help and advise the Sky Blues and the player on the situation.